Natasha L. Foreman is an entrepreneur, educator, advocate, servant leader, and devoted to her family. My oh my oh my…having the courage to admit our flaws, when we’re wrong, when we don’t know, and that we messed up…oh the agony of forcing that confession out for others to hear and realize. Daggumit it can be a doozy to the tenth power, especially if you’re as stubborn as I am—or more. This morning I took the time to really pull back some layers and admit some things that I’ve passively admitted in the past, but honestly never took the time and required steps to fix, heal, and make right. It wasn’t an easy process. It took me about 3 hours to really process and reflect my truths. It can be difficult looking closely in the mirror at self, looking at the things that you don’t like or that you try to mask from others. Unlike those external blemishes many people attempt to conceal, the internal ones are hard to mask and run from. At some point you’re going to have to face your demons, truths, and even your lies. Everything will have to be confronted. Everything will have to be revealed. The truth always comes to light. Nothing can remain in the darkness forever. Looking at my inner self and how the negative and toxic things that I’ve said and done to myself and others has had a lasting impact, is something that hurts deeply. Today I had to really face some harsh truths so that I could really heal. Not that superficial healing, where the wound is tolerable because it’s better than it was. Nope, I mean that deep healing that is so complete that there’s barely a sign of a previous injury. That’s the kind of healing and wholeness that I want. I don’t want to walk around visibly wounded and clearly wounding others. As the old saying goes, “hurt people, hurt people” and I’ve been hurt through self-infliction and through the actions of others, but I’ve only made it worse by turning around and hurting other people—especially those that I love. How can I genuinely love you if I hurt you? The same is true in reverse. And just because someone hurts you through words or actions, it is our decisions that determine how much more hurt will be inflicted through our desire to retaliate. Are we truly ready to live with the painful consequences? Self-control is easier said than done. It’s far easier to try to control others. It’s also more pitiful. Over the weekend, someone I love did and said something that hurt me. Yet, my lack of self-control made the wound deeper and far more painful. I lashed out, shut down, and dug my head in the sand to try to block out the internal voice of peace and reason that said, “just shut up, listen, and stop trying to control the narrative and outcome“. The more that I argued the more I hurt myself and this person. It hurts to type that. But it’s the truth and in seeking the truth we have to be willing to pull back layers that are ugly, smelly, painful, and difficult to tolerate. You gotta go and grow to know. So if you have a moment, visit my Breaking Bread With Natasha blog post for today. Maybe what I’ve shared can also help you or someone you know begin the deep healing process that we all desperately want and most definitely need. You don’t need to be Christian or even spiritual to connect with today’s message. It’s a message that digs past and beneath the ordinary so that we can reach and embrace the extraordinary. I share this in and with love! This is a great interview by Geoffrey A. Fowler featuring Deepak Chopra at CES 2019. I then began to write the reflection below followed by a prayer, that you can read in its entirety by visiting my Breaking Bread With Natasha blog. My message for today is lengthy but as it helped me to share it, hopefully it will help someone to read it. We have to decide if we want growth or stagnation. Do we want pleasure or pain? Do we want health or sickness? Do we want prosperity or suffering? Do we want to be right or do we want peace? Unless otherwise indicated, all Scripture quotations are taken from THE MESSAGE, copyright © 1993, 2002, 2018 by Eugene H. Peterson. Used by permission of NavPress. All rights reserved. Represented by Tyndale House Publishers, Inc. Happy 29th birthday to my amazing sister Alexandra. I’ve witnessed true growth over the years and seen as you transitioned from wild child to mother, boldly taking the responsibility of a mom with a warrior spirit. I’m extremely proud of you. I can’t believe you’re already 29. Jeesh it feels like not so long ago you were knee high, trying to hang with your big sis. Time flies when you’re living. Wow…the last year of your 20s. What bold steps will you take today and each day after to put a beautiful bow on this era, to gracefully walk into the next?!? I look forward to seeing your shine, and baby girl you better shine BRIGHTLY for the world to see how blessed you truly are, and how bold and brilliant God truly made you! You are beautiful, brilliant, wise, loving, thoughtful, protective, nurturing, humorous, creative, and reflective. You can be “Cali B” and whatever else to whomever else, but to me you will ALWAYS be my POONKA! I love you sis. It’s amazing how much you and mom look alike, especially as children. I swear that both of you as babies looked like Logan. Yet Logan also looks identical to his daddy. Man, both families have strong genes! It’s awesome that you have remained friends since childhood and now have the opportunity to build stronger relationships as grown women! What an adorable family. I love the three of you so very much. Our family bond is unlike anything else in the world!!! Well Poonka, I wish I was there to hug and celebrate with you. Know that I am, in my heart. Enjoy your day, week, month, and year. Someone needs to hear this, see this, speak this, and know this. The stumble is NOT the end. When you choose to stop walking, THAT’S the end. When you stumble, if you happen to fall down, then get up and dust yourself off. If your fall was dramatic you probably are discombobulated and unsure of the correct direction in which to go. Yes, it happens. It may take a moment to figure out which way to go, and it may require counsel or input from others, but once you have confirmed the way to go—get to walking!! Don’t be concerned about the pace. As long as there’s forward movement, then there’s progress. As you strengthen and increase your confidence, your pace and intensity will also increase. The focus should be on continuing the journey—by any means necessary! P.S. Thanks Arleen for inspiring me to write and share this with others. I’m paying it forward. Love you sis!!!! Share this with everyone that you know so that we can make this dream come true TODAY! He’s only a few hundred dollars away from reaching his goal. We CAN do this! Kylen is a senior in the San Diego Unified School District who holds a 4.5 GPA. He is a trilingual scholar-athlete who has earned achievements in track and field and football. He speaks Spanish, Mandarin, and English and has worked diligently his entire academic career to be accepted into his top choice college. 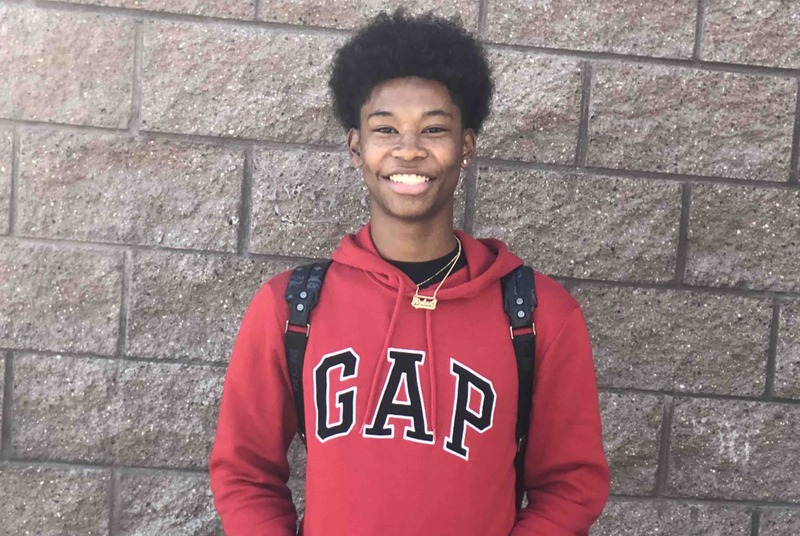 Kylen plans to pursue a career in the field of medicine to study neuroscience and recently learned he has been accepted into his dream school. He was invited to participate in the official student admit day and is now seeking support so he may participate. Funding will go toward the costs of airfare and incidental expenses for him to travel across the country to attend. I thank you in advance for your part in helping Kylen’s dream come true. I know that he will shine and do amazing things in college. I know that through his service of others, he will be a brilliant leader, and a tremendous contributor to society at large. Kylen is excellence-driven. He is not just our future, he is our now! Go make your dreams come true Kylen!! !